Our Diamond and South Sea pearl earrings with a feminine filigree design in 18K white gold set with scintillating brilliant cuts. 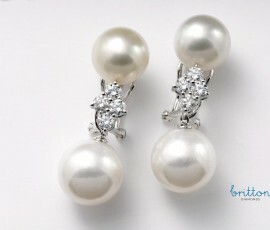 18K White Gold South Sea Pearl and Diamond Earrings, made with a removable bottom pearl to suit the occasion. 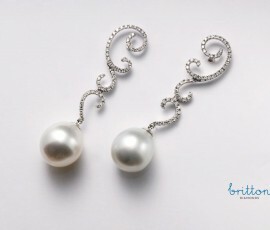 Earrings that match any outfit, versatile elegance.